Simple, Safe, Reliable Operation. Removes 95% of free flowing oil. Reduces disposal costs by 90%. Capable of crushing paint cans and more. Air or electric operating systems, exproof available. Meets and exceeds International MARPOL 73/78 Annex V.
316 Stainless Steel. Bale paper, plastic bottles and cardboard. Component parts are sand blasted and painted. Door with latch engineered for gradual release. Air or electric operation. 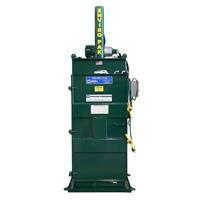 Reduce disposal costs by reducing waste volume. Bale Eject System. ABS Approved. Meets and exceeds International MARPOL 73/78 Annex V. Patent Pending. Bales paper, plastic bottles, and cardboard. Up to 60,000 pounds of compaction force. 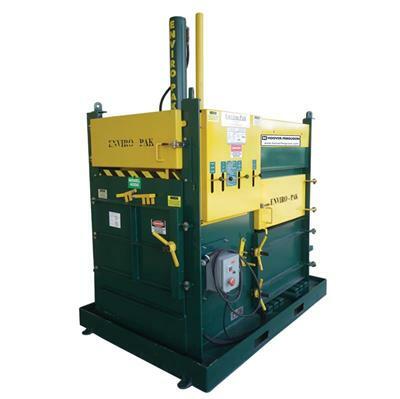 Hydraulic bale eject function. Door latch engineered for gradual release. 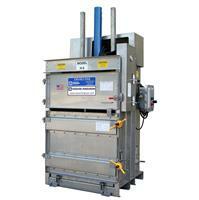 Optional HEPA filtrations system available. 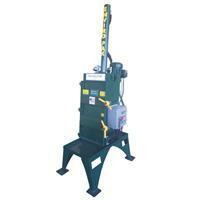 Reduce disposal costs by reducing waste volume. ABS approved. Meets and exceeds International MARPOL 73/78 Annex V.
Simple, Safe, Reliable Operation. Crush 600 aluminum cans down to 0.5 ft3/14 liter. Crushes both aluminum and tin cans. 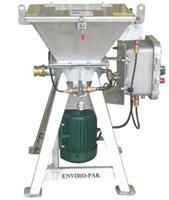 Top-mounted hopper for feeding cans. Cycle time of 60 seconds. Meets and exceeds International MARPOL 73/78 Annex V. 5 or 10 Horsepower. 240/480 volts. ABS Approved. Vacuum Sewerage Systems for Marina’s and Port Facilities. Vacuum sewerage systems are ideal for use in Marina’s and Port’s regardless of the size of the facility. The Flovac system can capture sewage and bilge water from the boats and from restaurants, hotels and commercial buildings around the marina complex. By Flovac based in Venray-Oostrum, NETHERLANDS. The 'DELTA' PR Sewage treatment plant is a fully biological type plant, designed and built to fully comply with the latest Marpol 73/78 Annex IV, European Maritime Equipment Council and USCG regulations. The model F410/360, with 7.5 kW electric power, can be used to process high quantity of food waste: for this reason, it is more suitable for large cruise ships. 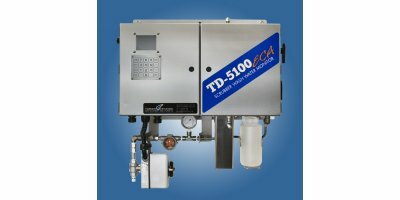 The compact size and footprint allows the F410/360 to be easily installed on board ship. 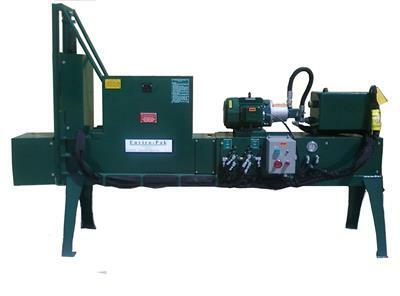 The DT-200MC multi-fraction waste compactor model is manufactured in stainless steel and specially suited for use within marine environments. i.e. vessels and offshore installations. 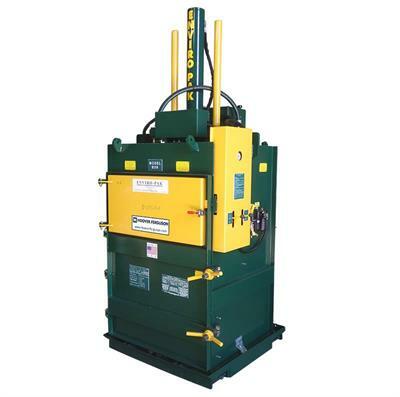 The DT-220PN multi-fraction waste compactor model is manufactured in stainless steel and specially suited for use within marine environments. i.e. vessels and offshore installations. Every MARPOL receiving base is equipped with a special equipment to manage and monitor the PPM oil in water content, also the tank levels. In that kind of installations is very important the management mainly because the possible overfills and spills in the close environment.